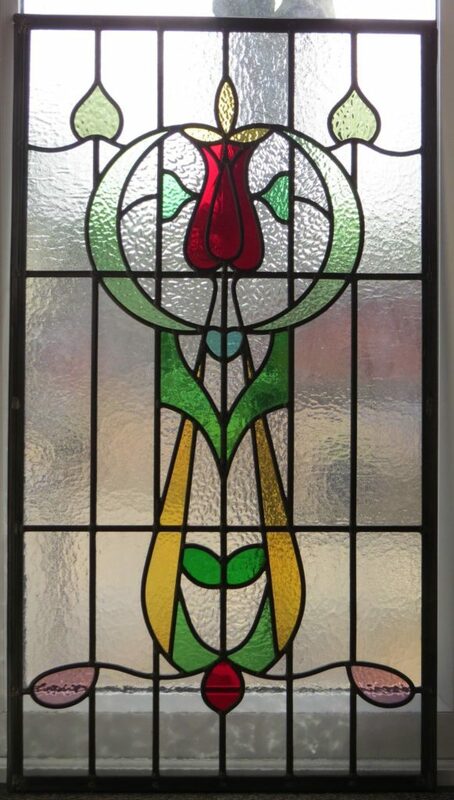 Would you like to add stained glass panels to your property? 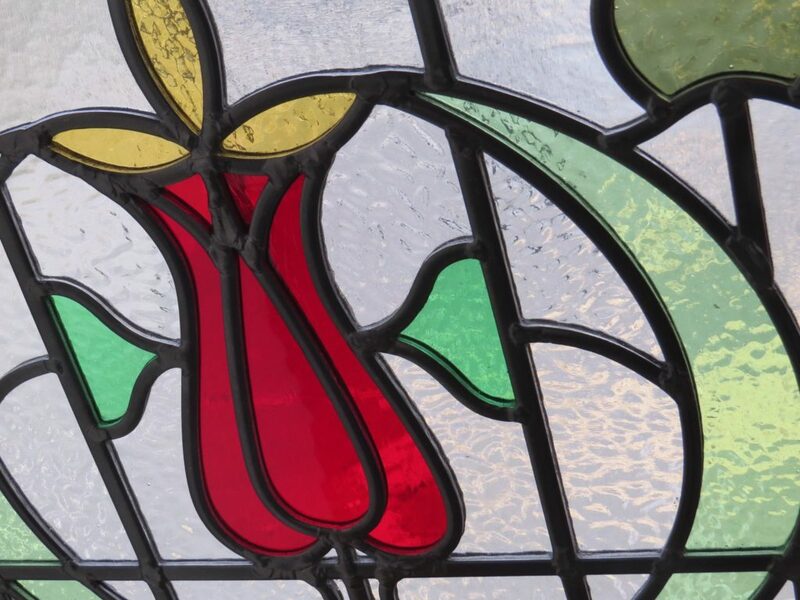 Our glassmakers can create brand new designs, or re-create existing sources to your exact specifications and bring beautiful coloured light into your home. 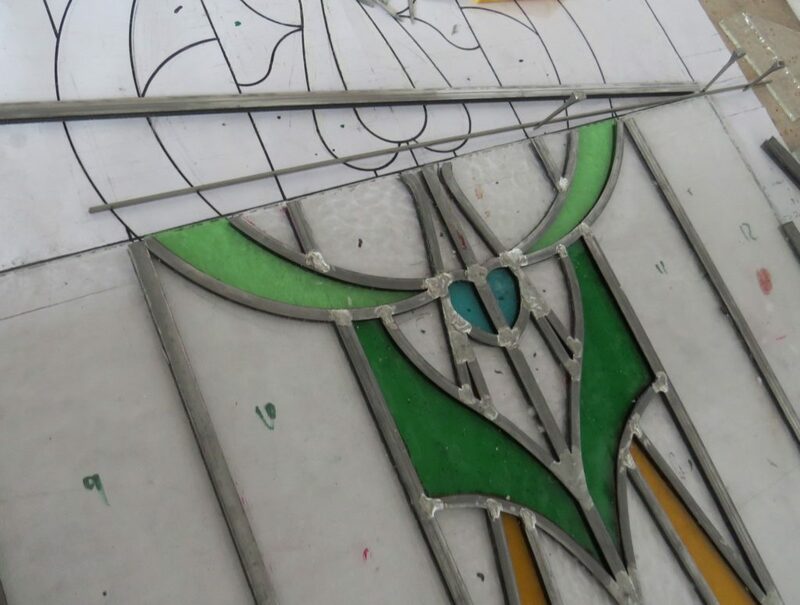 We specialise in designing and creating new and bespoke stained glass panels for use within internal or external doors and surrounding frames. 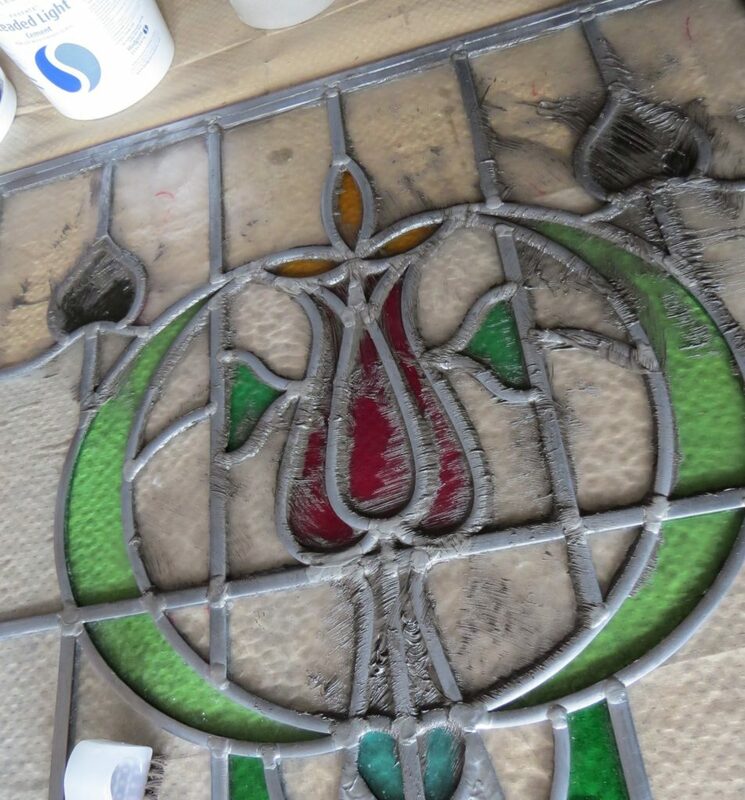 Our experts can also restore and repair original stained glass panels, depending on the level of damage. 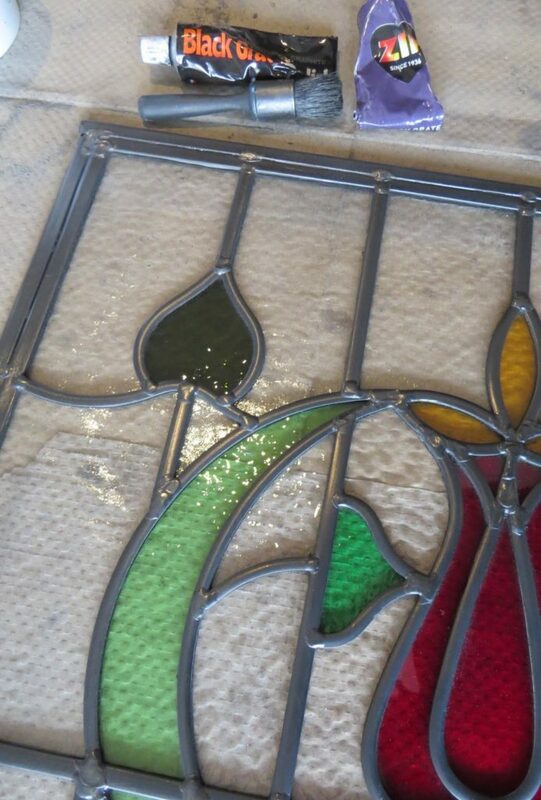 Our stained glass panels meet all British standards and can be purchased with optional encapsulation (triple glazing). Encapsulation will reduce noise and prevent some heat loss. In addition we can also engrave your property number or name within our designs. 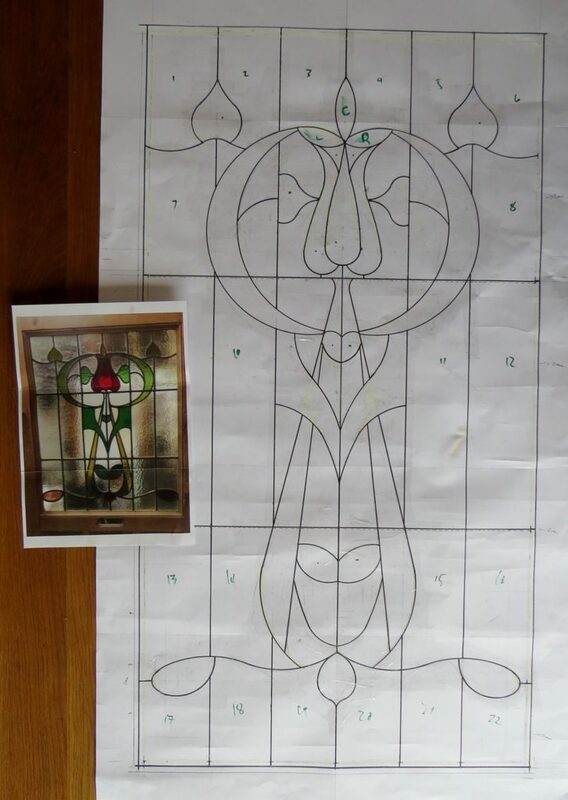 Below you can view examples of stained glass designs which we have created for our clients. Have any design re-created as you see fit. 1. The process first begins with drawing up a full size template of your chosen design. In this example our client wished to copy an existing design from an old reclaimed door. 2. 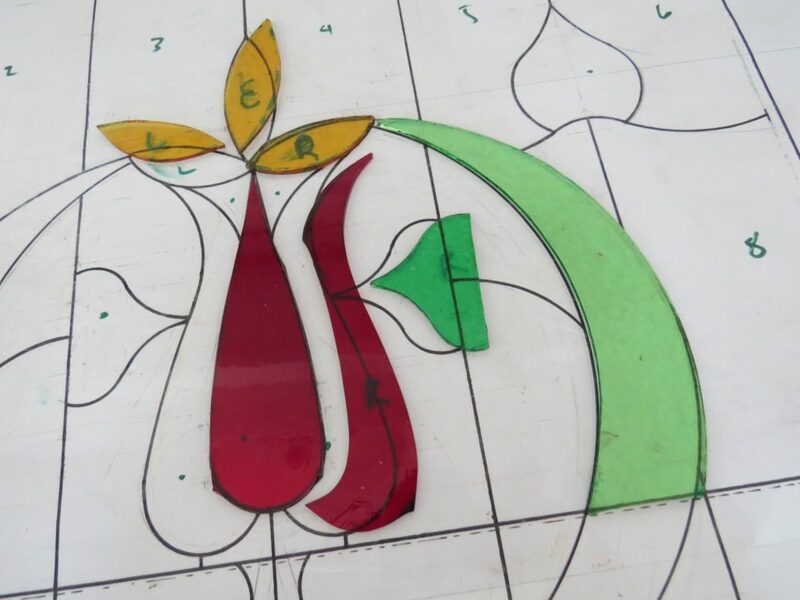 The individual glass pieces are then cut and shaped to fit the design. 3. Leading up begins, working up from bottom left to top right, soldering the lead came as the panel progresses. 4. For larger panels (especially front doors), steel reinforcement is inserted inside the lead. 5. 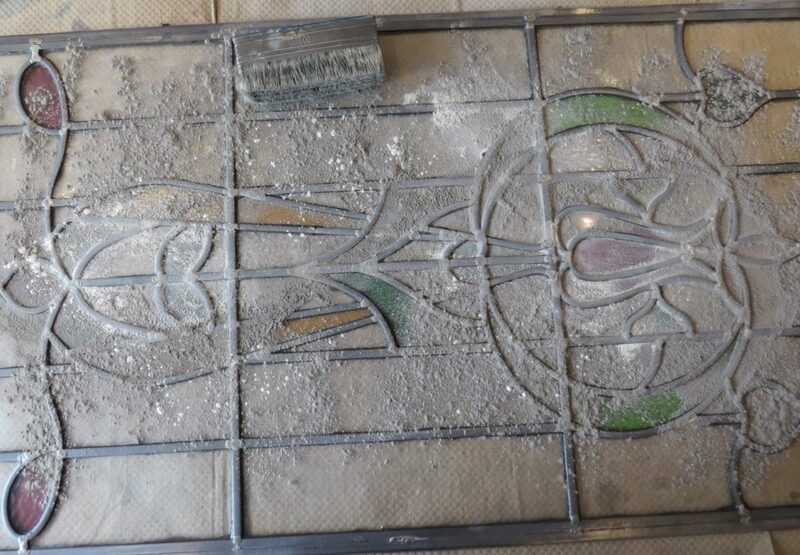 Once the leadwork is completed, glazing cement is applied. This both strengthens the panel as well as making it weatherproof. 6. Excess cement is cleaned up and pointed to a neat finish. 7. The panel is given a final clean with powdered chalk before an application of graphite polish. 8. 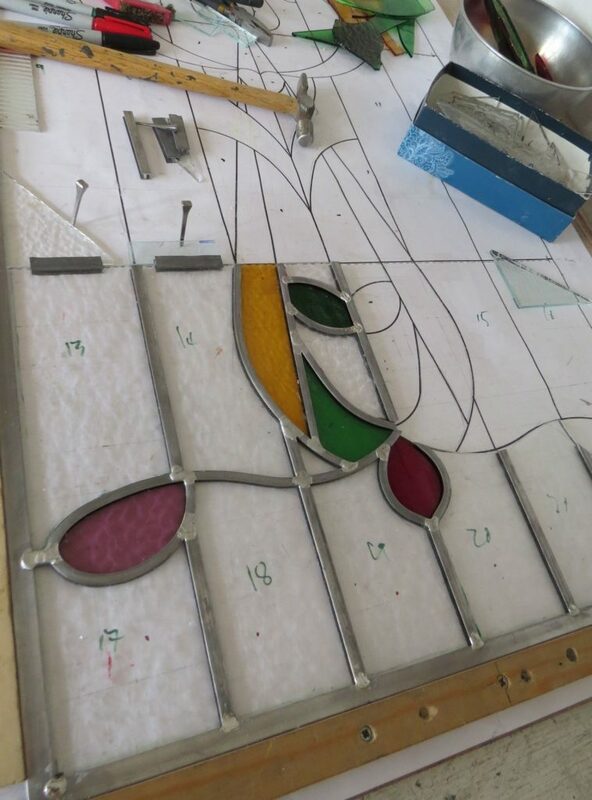 The final finished window is now ready for installation. Here is the final panel in all its glory! 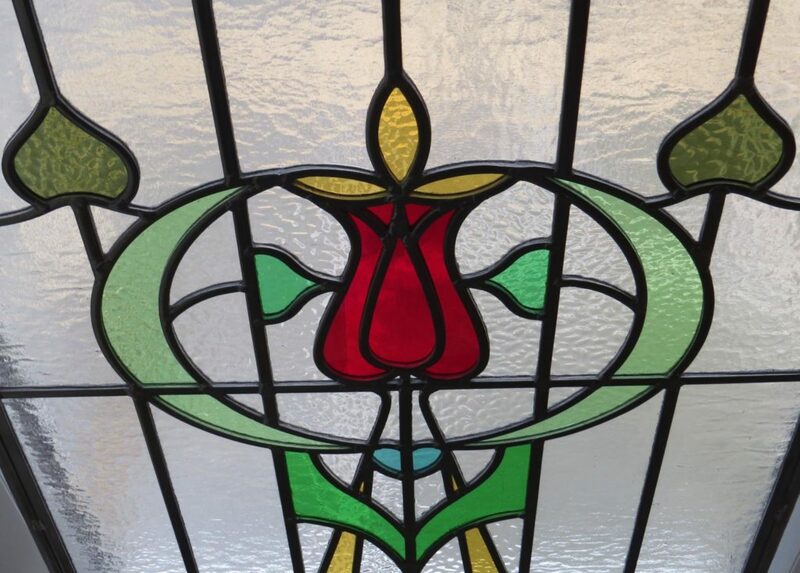 Get a package deal when buying one of our fully bespoke front doors together with our bespoke stained glass panels.